Tailspin Tommy is on the air! "That lovable, exciting, aviation hero, Tailspin Tommy with flying friends Skeeter and Betty Lou!" 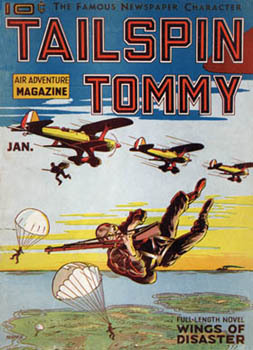 Tailspin Tommy was created as a movie serial and comic book before it was a radio show. The comic strip was drawn and created by Hal Forrest and made its first appearance in 1928 after Charles Limbergh made his legendary flight across the Atlantic. Americans audiences were cried out for aviation lore and flying heroes. 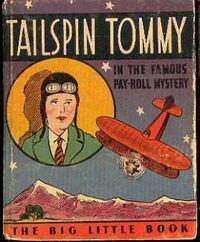 Débuted on September 5th, 1941, Tailspin Tommy saved lives and fought for goodness and humanity around the world. With his best pals silly Skeets Milligan and charming Betty Lou Barnes, Tailspin Tommy flew in and out of trouble much to the delight of juvenile audiences across the nation. Be the first to comment on "Tailspin Tommy"